Two more companies were seized as part of an investigation into the Gulen movement, which the Turkish government blames for the July 15, 2016 failed coup, media reported Tuesday. 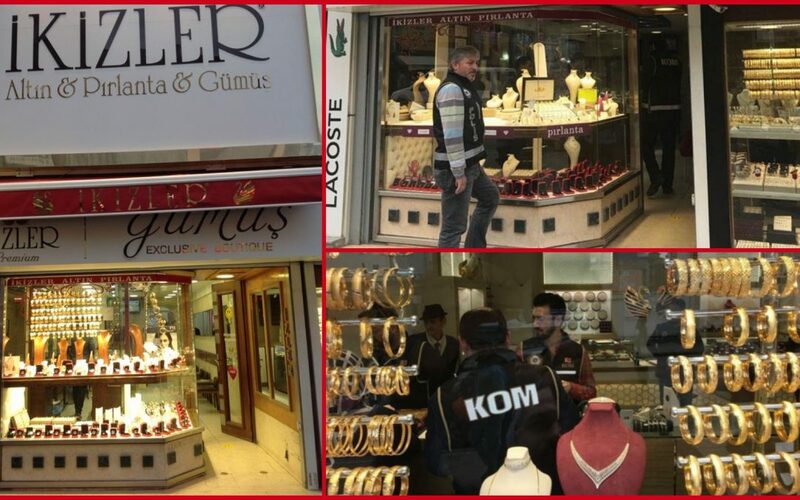 A trustee panel was appointed to Ikizler Kuyumculuk, a jewelry store chain in Tekirdag province as well as another company in Istanbul as part of a seizure order on the assets of two businessmen, identified as K.Ö. and K.G. Arrest warrants were issued for 9 businessmen including K.Ö. and K.G. who are accused of having made financial support to the Gulen group. 6 of the suspects were rounded up at the time of writing while K.Ö. is reported to be abroad. Gulen group denies involvement in the coup attempt.